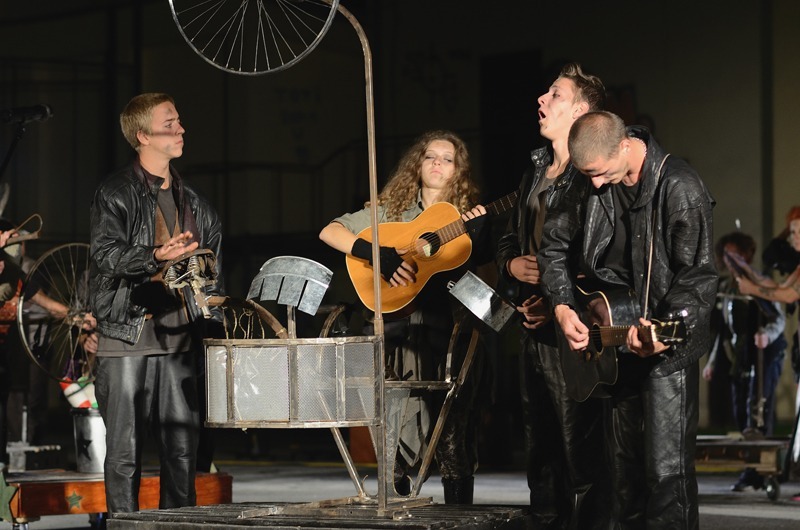 The official premier of the show “Utopia?”, created as part of a two-year long international project “Circus as a Way of Life”, was held on the third and last day of the Street Musicians Festival in Novi Sad. The jam-packed audience the stands of the Sokolski Dom sports field in the center of Novi Sad fully immersed themselves into the interesting stage creation of these young artists, rewarding them in the best possible way – with grand applause. The dark and the astonishing, but subtle game of the staging lights with a gentle dose of smoke announced the beginning of this extraordinary performance. A bit of acting, pantomime and stage movement, and a touch more of modern circus skills, were the only means which the performers exploited in order to depict the ambitious story of the eternal human search for a better world and a selection of similar existential questions, which in the words of the author sometimes have no intention of being answered, since they would mark the end of all expectations (the reason behind the question mark in the name of the play). 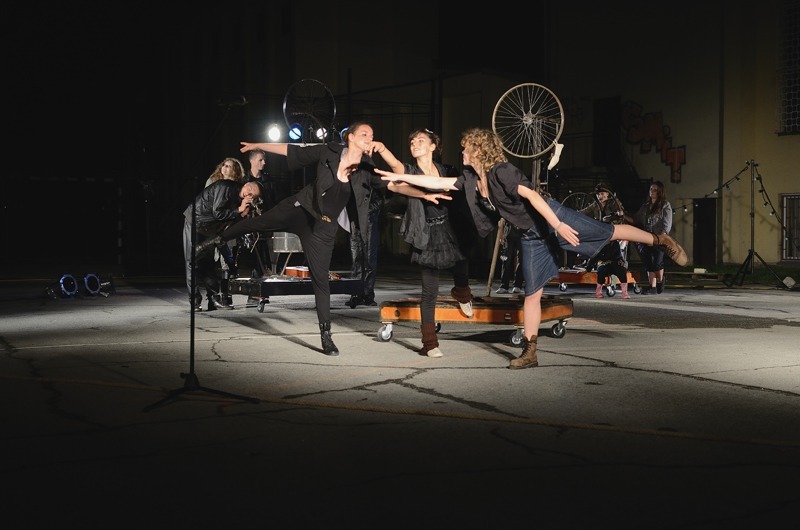 The back-story behind the play is the joint work of the seasoned artists and instructors from two troupes, “Capilotracté” and “Helix”. The experience, along with the great performance from the young actors in their first ever complex roles, was completed by the original music, entirely the makings of the French artist and instructor. 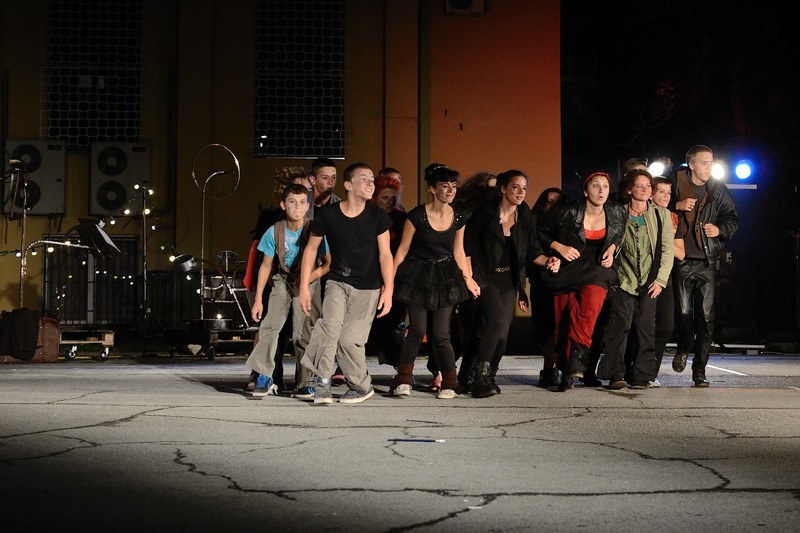 The pre-premier performance of the play “Utopia?” was held seven days before the Street Musicians Festival, on the Špancirfest in Varaždin (Croatia). 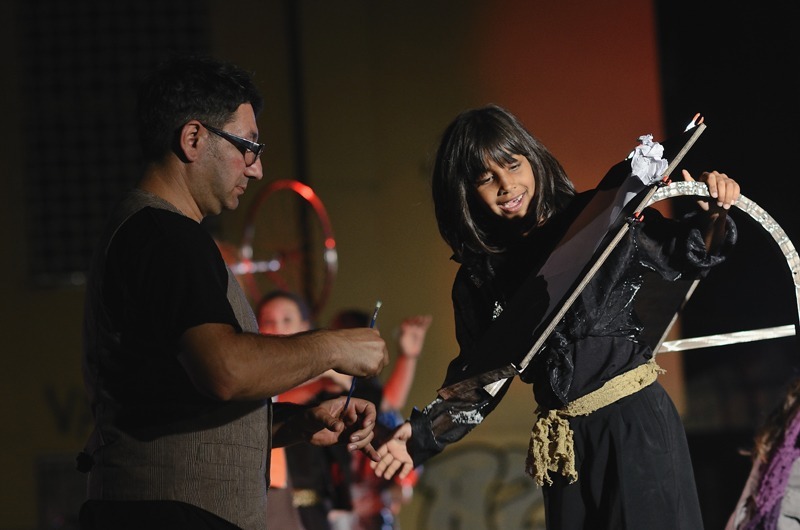 After that, the young artists and their instructors also travelled to Athens, where they gave their performance on the monumental IST fest. And that’s certainly not the end, because this young and ambitious troupe soon expects to experience new similar and exciting adventures.